Affirmation: I am extremely creative. Creative thoughts are constantly coming to me. Patterns and different perspectives give me insight and understanding. 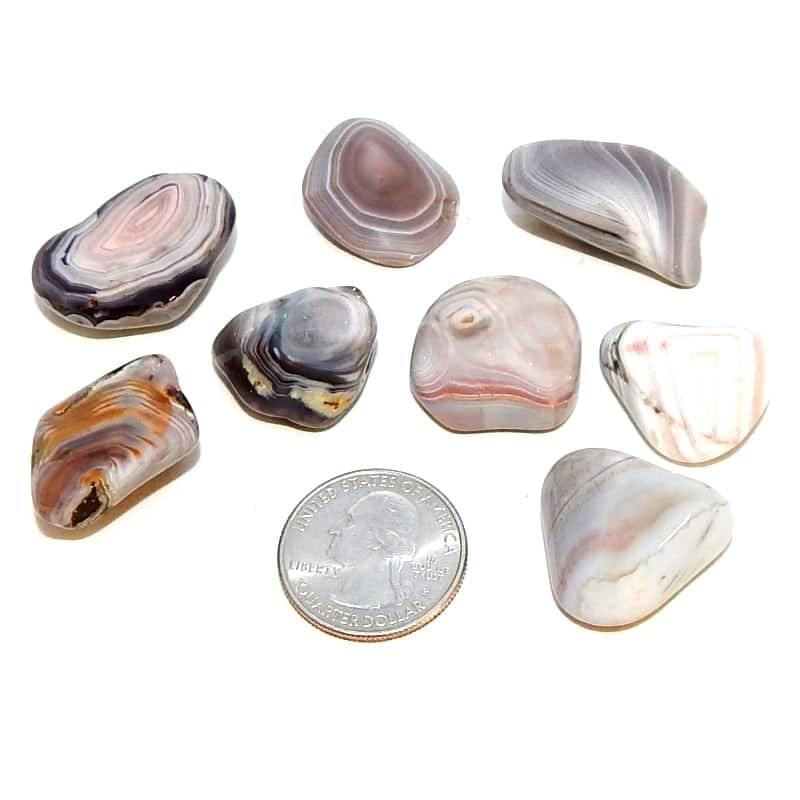 About the stone: Botswana agate is silicon dioxide forming microcrystalline quartz exhibiting white and gray banding. 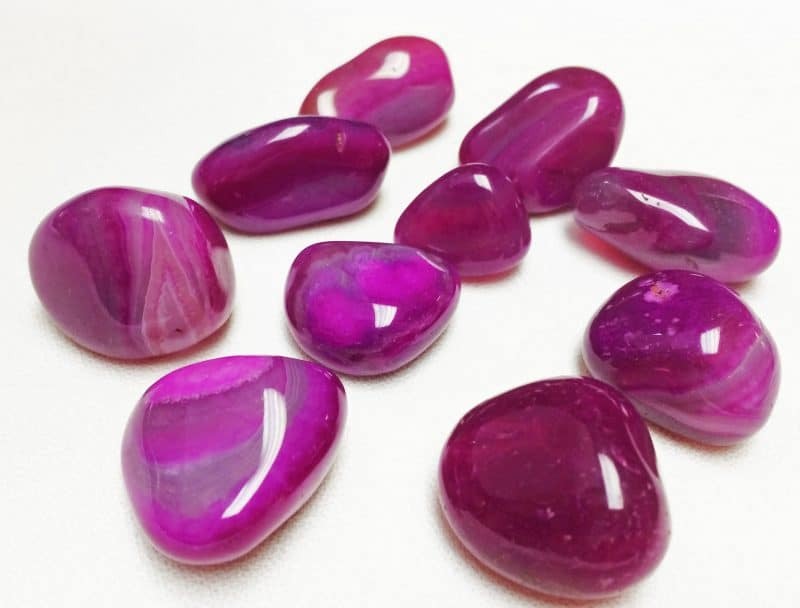 The stones are translucent to opaque and found in Botswana, Africa. 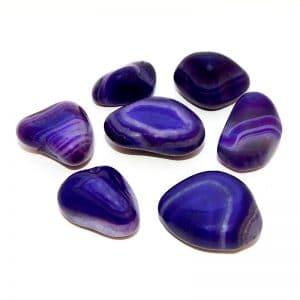 Spiritual uses: The banded patterns within this stone form a vortex of energy that opens your spiritual ears and eyes, enabling you to receive channeled messages. 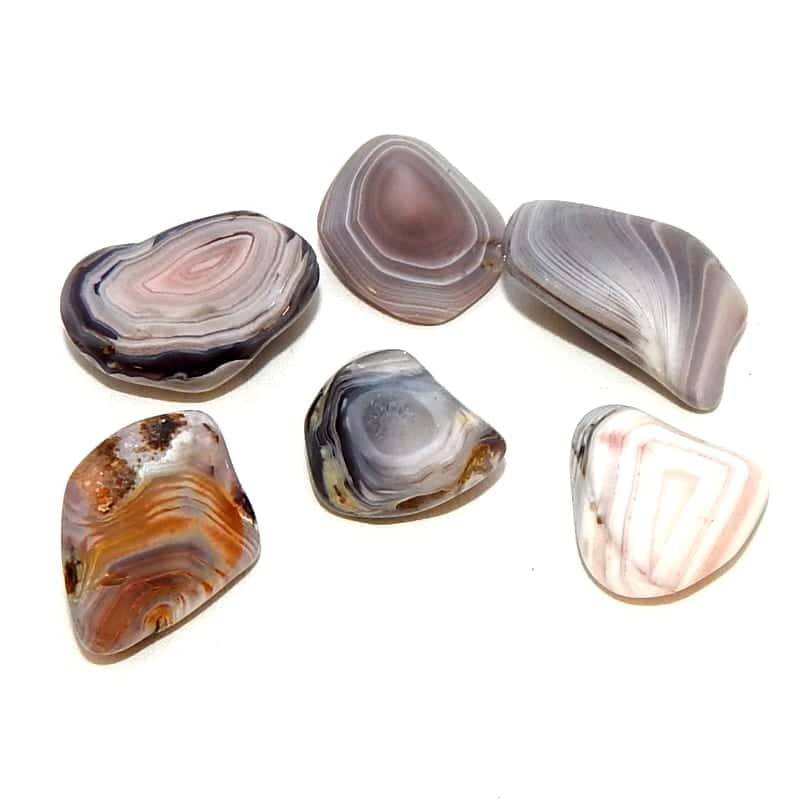 Mental uses: The swirling colors of Botswana agate amplify the creative vibe for connecting with artistic ideas. Emotional uses: It promotes observing your emotions from many different angles, thereby removing the strong attachment to those emotions. Physical uses: Use Botswana Agate to receive additional assistance in manifesting conscious action to make your intentions a reality. This is a stone for artists and inventors.